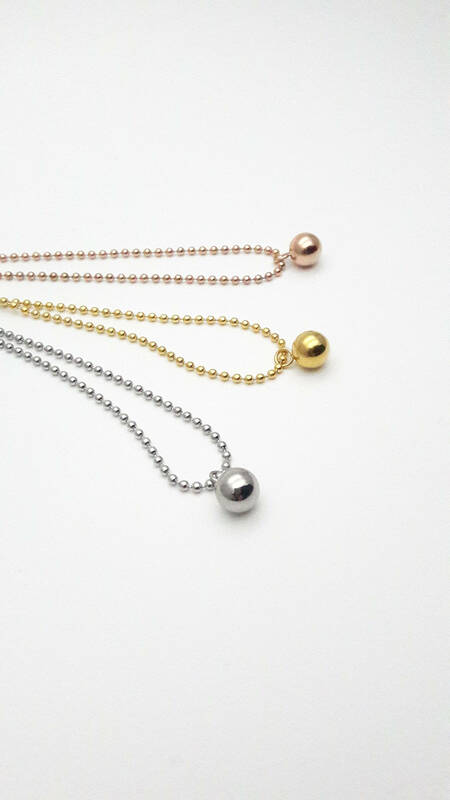 Tiny ball charm necklace yellow gold or platinum plated 18k stainless steel//Hypoallergenic minimal short steel bead pendant necklace. 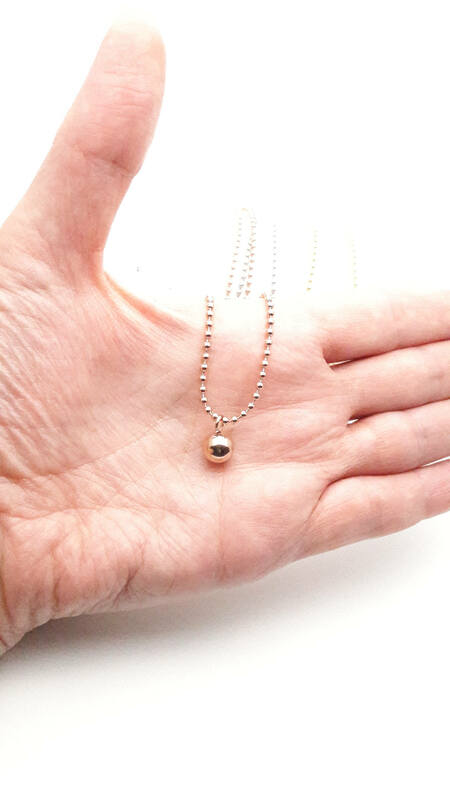 Little Shiny dainty gold plated necklace with 1 small ball pendant on a ball chain. 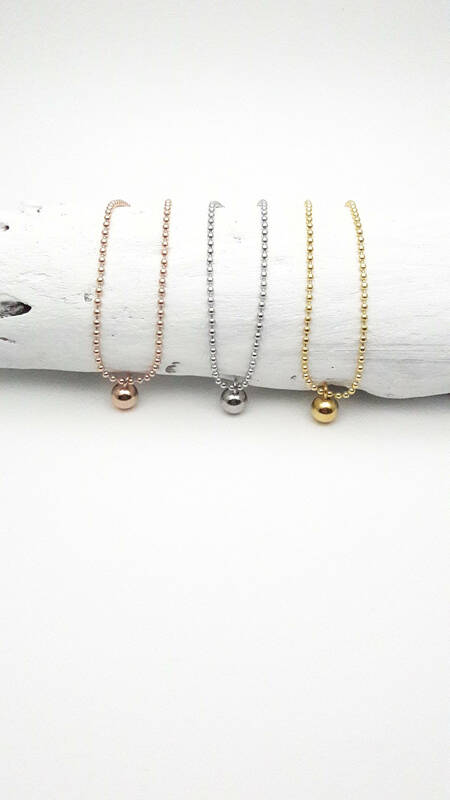 All yellow gold, rose gold or platinum plated 18k surgical steel. 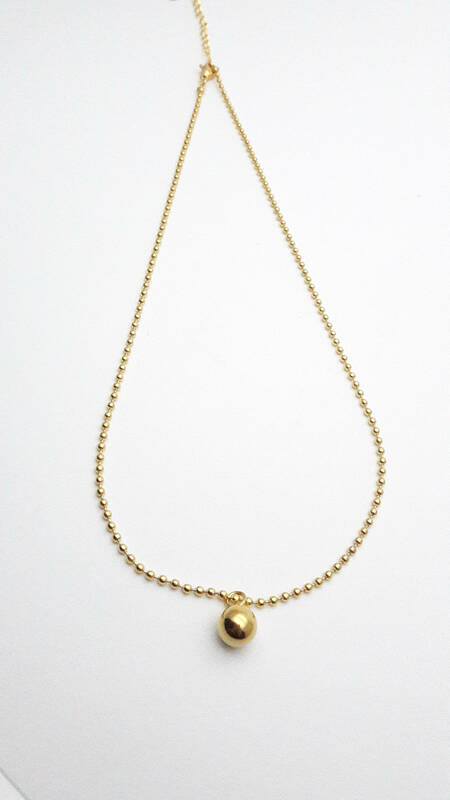 Short necklace. 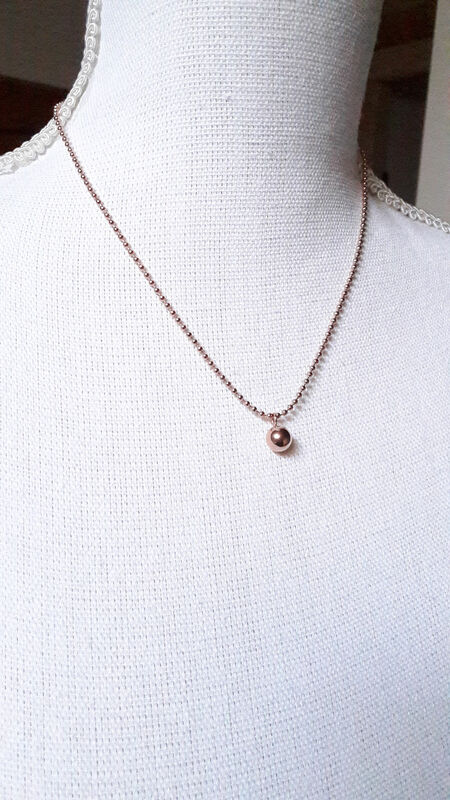 This listing is for 1 necklace. 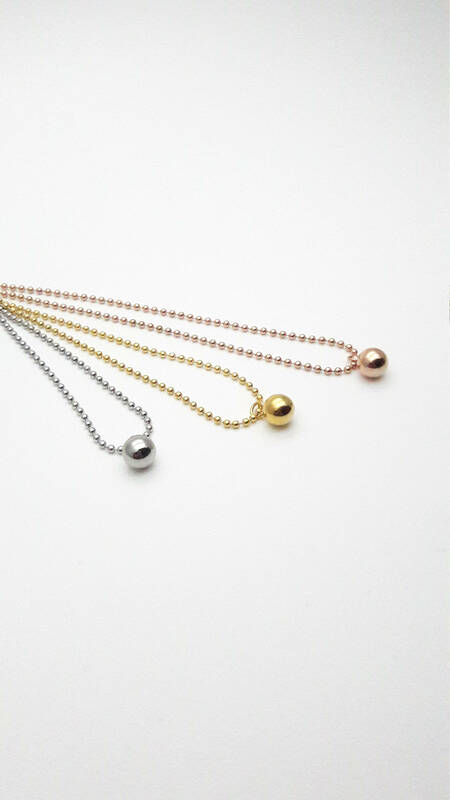 Color to choose : yellow gold or platinum silver (rose gold : sold). 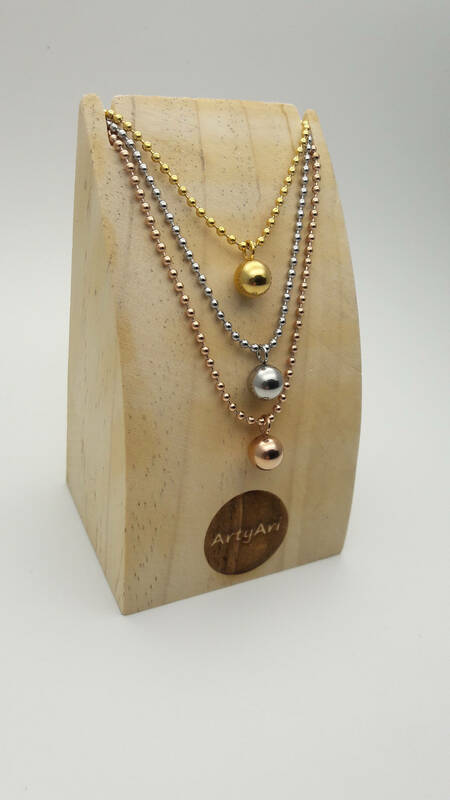 16 inches chain with lobster clasp and 2 inches extension chain. 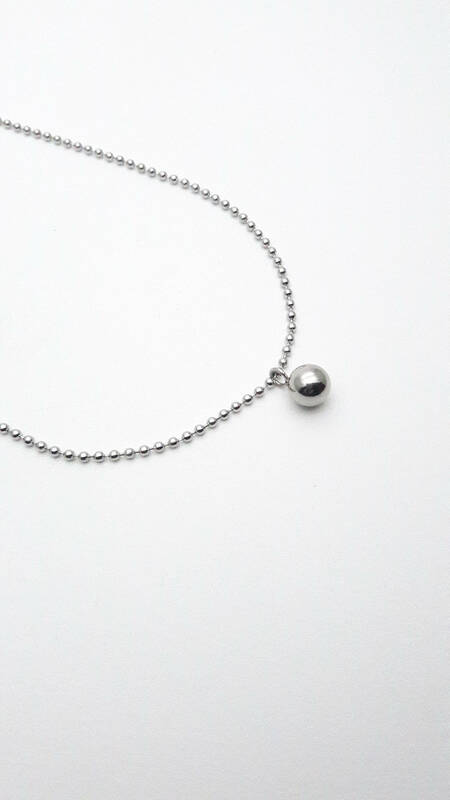 The ball pendant is about 8 mm of diameter. 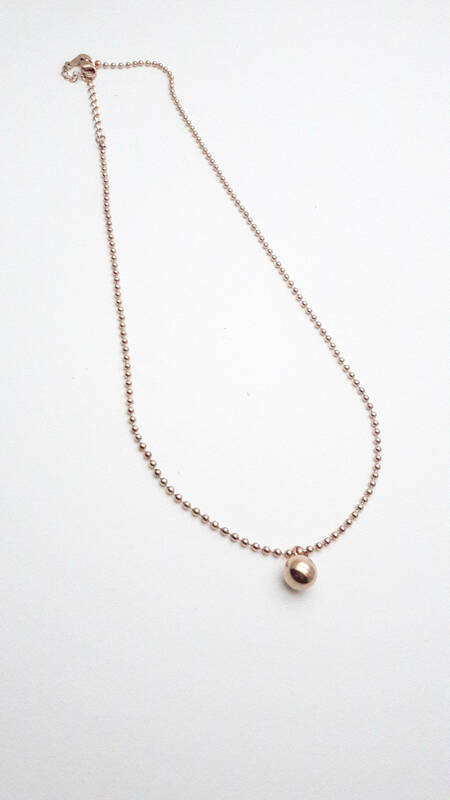 This necklace is short and light, perfect for every day wear !